WholeTrees seeks to inspire wonder in common spaces. 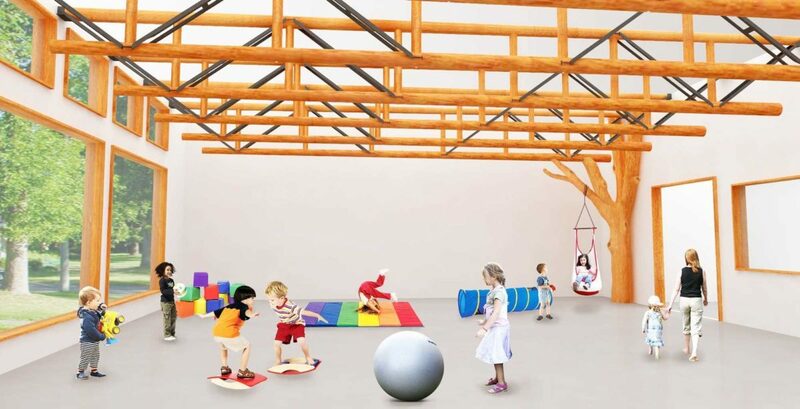 These conceptual renderings were created for an upcoming daycare center client. 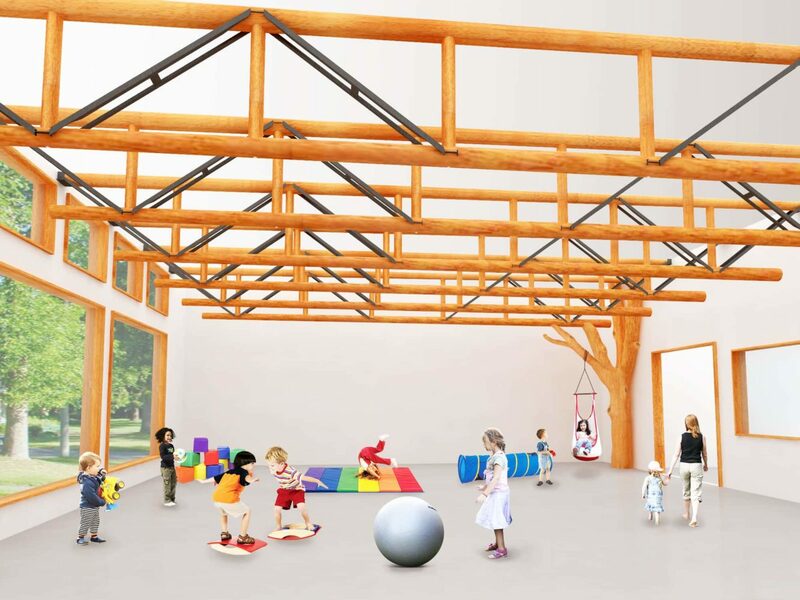 Branching timbers would pique the children’s natural curiosity and enhance learning. 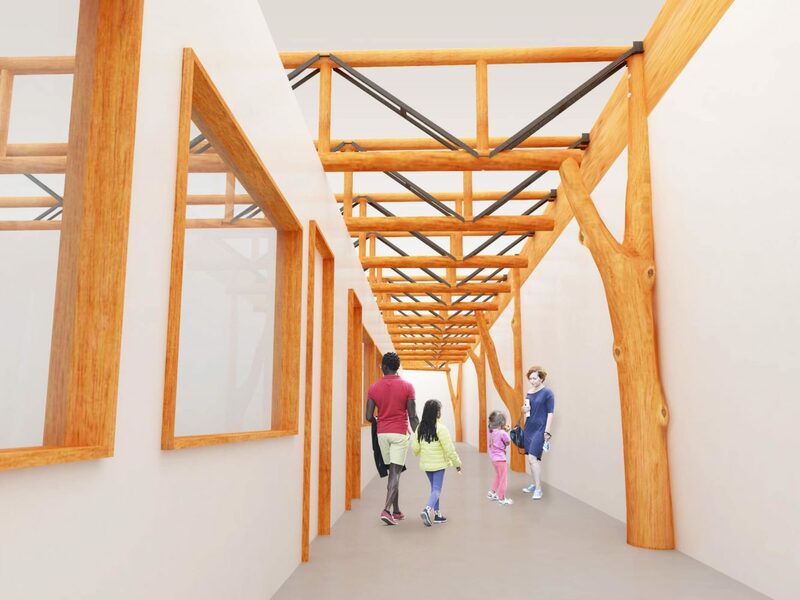 Natural and sustainable building materials offer a healthier indoor environment by bringing the outdoors in.